The study of the two terracottas from the Arthur M. Sackler Collection, that after a careful and precise restoration regained their original appearance that allows a correct reading, helps to focus on a period of the career of the sculptor Giovanni Baratta, still little known to the general public. 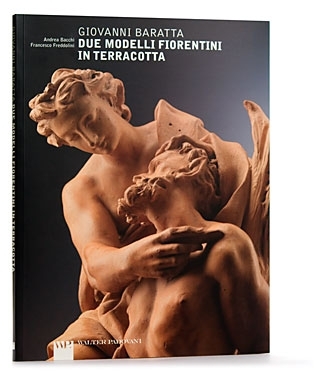 The contribution of Andrea Bacchi examines his production of terracotta models; Francesco Freddolini writes on the commissions of works in marble for Frederick IV, King of Denmark. The Hercules and the Nemean lion is a model for a large marble that Frederick IV bought in 1709 during his stay in Florence, the Apollo and Marsyas is probably the terracotta model of a marble sculpture exhibited in 1767 in one of the Annunziata Exhibitions in Florence by the Marquis Alessandro Capponi.